Can you turn an ordinary bag of potato chips into a fireworks display? Make a toaster powered a hot air balloon? Turn rice into quicksand? 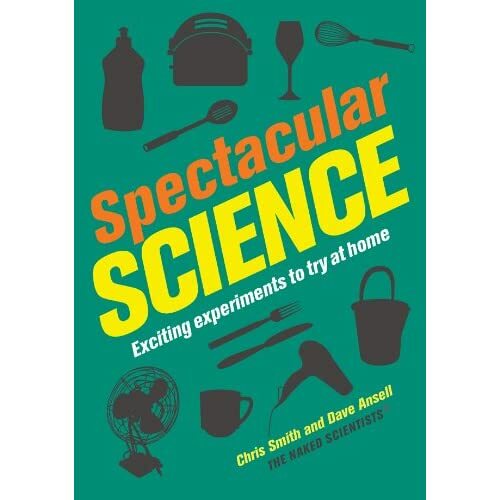 With this engaging and irreverent guide to the coolest science experiments ever, readers can do all that and 40 more science-based activities that simultaneously inspire and educate. The authors are part of the Naked Scientists, a U.K.-based group dedicated to making science fun and accessible for all ages. These experiments have real-world applications both kids and adults will really use. They’re ideal for the classroom, scouting groups, or for any rainy day!